The Vittoria electric suite has simple lines and subtle detailing, a modern day classic. Finished in a Sandstone effect, with a realistic 3D red brick chamber that gives real depth to this electric suite. 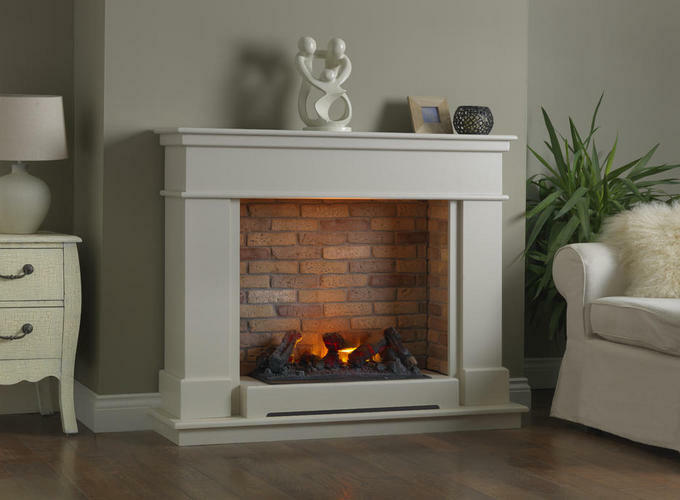 Suitable for flat wall fixing this electric suite does not require a chimney.